So I spotted this children’s book vending machine in my local health center today here in Ljubljana. When was the last time you’ve seen a children’s book vending machine? I’ve seen plenty of raw milk vending machines around Slovenia. Cut flowers, extra virgin olive oil. But never books for kids. That’s not to say the idea’s a new one, or even a novel one. 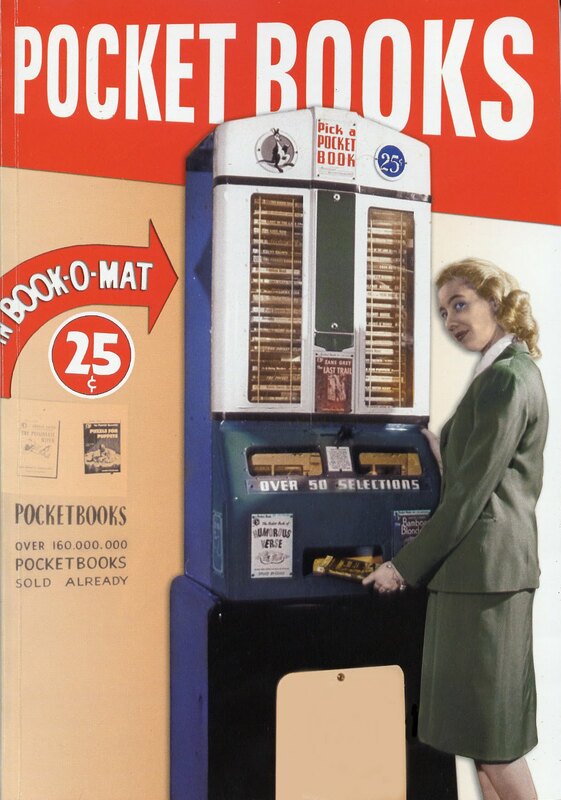 In a piece on the Huffington Post three years ago, A Brief History of Book Vending Machines, author John Geoghegan notes that the first commercial book-dispensing machine dates back to at least 1822, built by a Richard Carlile who was looking for a way to sell seditious books semi-anonymously. More models followed, including the Book-O-Mat, which in this 1947 ad in Popular Science boasts of having dispensed more than 160 million paperbacks at 25 cents a pop. They’re not commonly sighted, but seem to pop up most frequently in European airports and city centers, at least according to a cursory web search. But there’s also recent additions in Singapore and a project in central Detroit which provided free books to kids looking for some summer reading. Here’s one enthusiast who’s compiled several dozen images on a Pinterest board. I hope this one sees more action than the payphone next to it. Books priced at €5 and €6 a piece; €5 and €10 notes accepted. A more full uncropped view is below. Today’s Pic du Jour, the site’s 1,004th straight, was snapped in Ljubljana, Slovenia, on 3 October 2016. Would like to see more of that in the States, though even the movie services like that are likely on the way out. I do like the lending libraries, we have lots of those in the neighborhood. Has a nice vibe, the honor system. Bring one, take one. Magical for kids, I think. It’s great to hear that so many libraries operate on an honor system. It seems to me, based mostly on conversations when the topic of libraries comes up, that that number is actually rising.